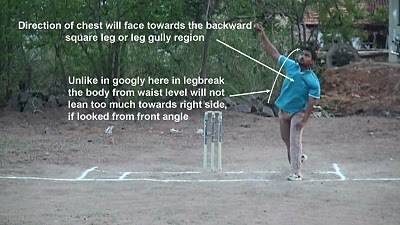 Well when the direction of front leg faces towards the fine leg region, by default the direction of position of chest will face towards the backward square leg or leg gully region, which infact creates the flexibility in controlling the position of arm between the 45 and 60 degree angles with respect to horizontal shoulder level position, which actually is the key in bowling legbreak delivery. 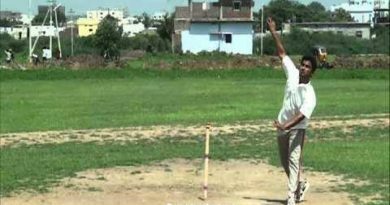 When you bowl a legbreak delivery the body from the waist level will not lean too much towards right side and also the position of head comes nicely outside the front left hand ( Just like a side on bowling action ). 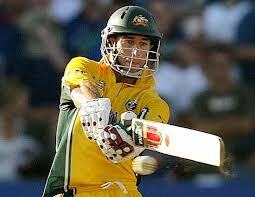 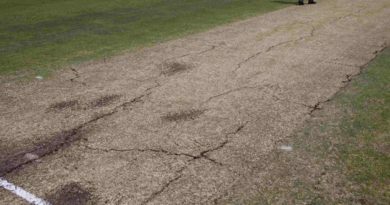 How to bowl Leg spin ?